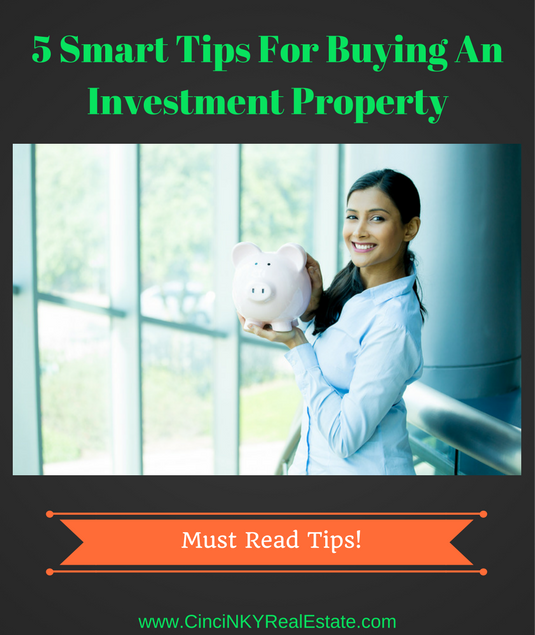 Whether you want to buy a home that doubles as an investment property where you live in one unit and rent out the others to reduce your mortgage payment or you want to strictly buy a property for investment property to earn income from it, these tips are for you. Many are realizing the benefits of buying and holding investment properties for their rental income potential. 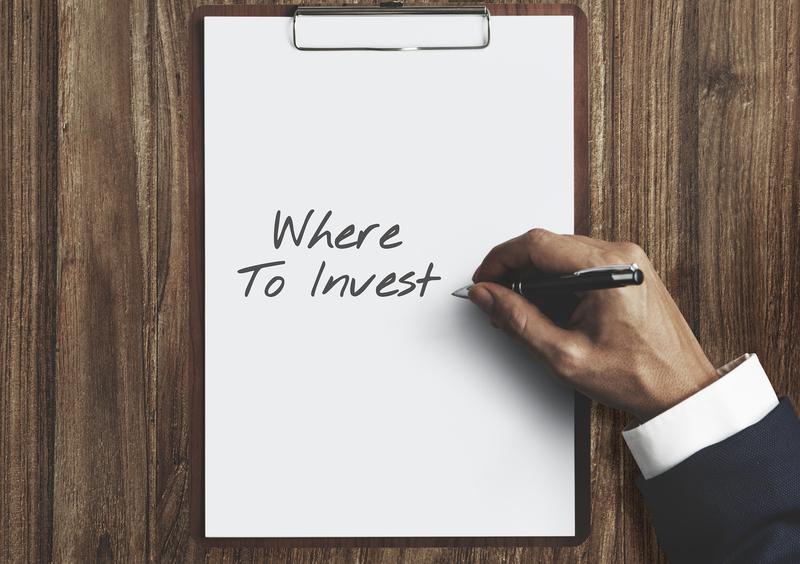 The tips in this article will help you make sure your investment is a sound purchase that provides you with income for years to come. Buying a multi-family with four or fewer units allows buyers to use conventional mortgage financing, whereas investors wanting to buy buildings with more than four rental units will require the use of commercial financing. Commercial financing usually comes with more restrictions and less favorable terms compared to conventional financing. With conventional financing borrowers can get 30 year fixed loans and only need to put at most 25% down for a non-owner occupied property. With commercial financing borrowers will be required to put 30% or more down and may have loans with a 20 year or shorter term. Additionally commercial loans will have higher credit requirements, may be stricter with the requirement of showing actual investment management experience and/or offer variable rate loans only. If a buyer is wanting to buy a multi-family home and live in one of the units then the requirements can be even lower than a non-owner occupied mortgage. Investors who intend to occupy the building they buy can only use conventional mortgage financing for buildings with four or fewer units, with five or more units then the buyer will need to use commercial lending programs. Owner occupied investment properties can be purchased with lower down payments (such as 3.5%, 5% etc. ), lower credit rating, lower reserve requirements and more. Be forewarned though, buyers should not be stating they will occupy a property as their primary residence in order to get better loan terms. Buying a building as owner occupied with never intending to occupy the home could be considered fraud which would allow the bank to ask for all the money back if they learn of the true facts. Many conventional mortgage programs require the owner occupied investment property to be occupied for at least one year by the purchaser. As with anything it pays to shop around and compare rates, requirements and terms for any loan prior to making the final commitment. Hence getting financing lined up before any property is seen is the best bet as the time required to get a loan for buying an investment property can be a little longer especially if it is non-owner occupied or requires the use of a commercial loan. With conventional mortgage financing pre-approvals can be obtained pretty easily. With commercial loans there is no true pre-approval process and instead the lender looks at the property as a good investment to lend towards as well as the credit rating of the borrower. When buying four or fewer units getting a pre-approval ahead of time makes sense and will be a requirement from any seller. For commercial lending while a pre-approval may not be obtainable it is still wise to sit down and talk with a commercial lender and make sure they review your personal financial situation as well as give you an idea of the amount they would be willing to lend to you. The commercial lenders will not make a final decision on a loan until they know the exact one to be purchased. On the other hand the seller of a property that needs a commercial loan will want to know that you have at least talked with lenders and know which one you want to work with rather than someone coming off the street without first talking to a lender. Sellers do not want to lock up their property in pending status for a buyer who may never be able to qualify for a commercial loan. Either way a conversation should be had with lenders ahead of time before looking at any properties in person. If paying for a proeprty with cash make sure the cash is in liquid form, meaning you can pull it out of the bank anytime it is needed. With cash a closing can happen much quicker than with financing so it pays to keep the cash ready. As part of your offer consider submitting proof of funds of the cash so the seller knows you are serious and ready to buy. Proof of funds usually consists of a letter from the bank where the money is stating how much money the buyer's account has as of a certain date. Sometimes a photocopy of a recent bank statement can also be used to show proof of funds. Leaving aside the need for commercial lending with buildings having more than four residential rental units which results in more requirements to meet through the lender, investment property buyers need to determine if they want to purchase a single family home to serve as their investment property or a multi-family building. Each has different pros and cons that the buyer should consider. Single family homes in general are easier to sell since the pool of available buyers who want to own a home of their own is quite large. On the other hand only investor buyers would consider buying a multi-family, or someone wanting to live in a unit of the multi-family and rent out the rest. That means the buyer pool for multi-family homes is much smaller than the buyer pool for single family homes which can make selling the a multi-family building more difficult. Multi-family buildings have the capability of providing continuous streams of income even if it is not fully occupied. 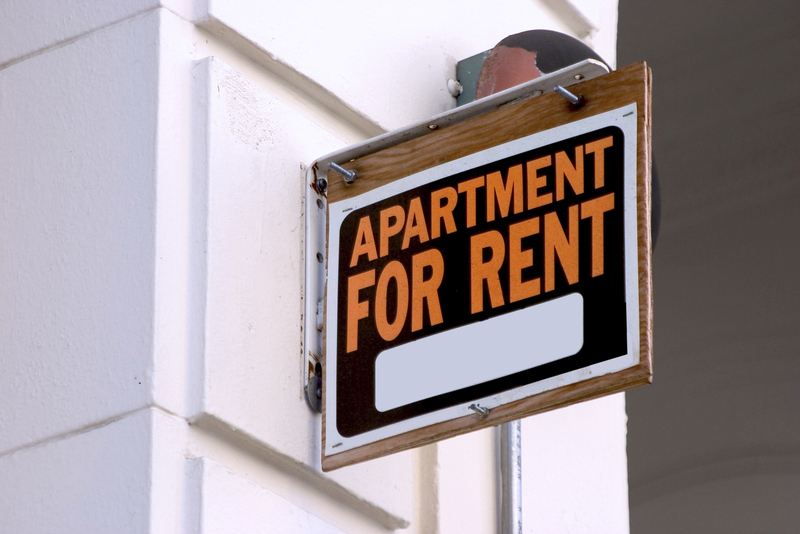 If one renter happens to leave there is still rent money coming in from the other tenants which can help cover the mortgage payment, tax bill and more. Single family homes or owner occupied duplex homes on the other hand if the tenant leaves there is no more income coming until the unit is ready for new tenants. Depending on the extent of clean up and repair needed it could be some time before the home is ready for new tenants. Generally single family home owners are thought to take more care and pride in their home since they are the only ones living in it. In a multi-family building while tenants may care for their own living spaces they may not be as considerate in common areas that are shared with other tenants. There are tradeoffs for both the single family home and multi-family building that need to be considered by buyers as part of their investment strategies. By using a local realtor to help purchase an investment property you are getting local expert who knows which areas have investment property (whether multi-family or single family) that will meet your investment needs. Often investors are looking for properties that meet certain financial criteria in order to get the best value and best income. Out of state investors who are unfamiliar with the area in general would be wise to work with a Realtor who knows about investment property. A Realtor with local knowledge about the investment property landscape can even help local investors who are not as familiar with investment properties in their area. Out of state investors would especially benefit from the assistance of an experienced investment property Realtor when they are unable to see the building in person they wish to buy. While it is always best to personally visit any property you intend to buy sometimes that is not always possible. In this case you will need to rely on the professional expertise of a Realtor to view properties for you and help guide the transaction to closing. Without a licensed Realtor to help and guide you, you may find yourself at the whim of scam artists who simply want to take your money and run. Even better is to find a Realtor who themselves own investment properties so then not only do they know the market that they work in they will also know about the ins and outs of purchasing an investment property as well as managing them. Realtors who own investment property should also have an extensive database of contractors they call on to assist them with the maintenance of their properties. Even if you as the buyer plan on doing all the work yourself there are still tasks like HVAC maintenance, electrical work and more that may best left to those licensed and trained in the business. Ask your Realtor to share their contacts with you so you have the right professional for the job when the need arises. Some investors may believe that since they are purchasing an investment property and don’t intend to live there a home inspection is not needed. In fact a home inspection is very valuable since it will tell you the condition of the building and give you an idea of any major expenses you might face in the near future. Even better a home inspection could reveal foundation issues, major HVAC problems, roof problems or more that may cause you to change your mind about the price you would agree to pay or to even reconsider purchasing the building at all. After all this is an investment property and buying an investment that needs immediate cash input to maintain habitability may not be the best investment especially if you are paying full price for the building. While you may be ready to purchase an investment property and collect rental income are you ready to deal with the possible day to day matters of managing a rental property? Tasks include paying bills you owe as property owner, paying for bills your tenants may not have paid but you are stuck paying for, repairing building problems, monitoring the building, evicting tenants, screening new tenants, collecting rent, making sure routine repair and maintenance is addressed, cleaning up common areas and more. Managing an investment property can be a labor intensive task. The more you do on your own the more money you can save but will have to trade that off by spending time on dealing with the property. If you would rather sit back and collect the rents and do nothing more it may be better to look into hiring a property manager to handle the day to day aspects of your investment property. Especially for out of state investors finding a local property manager to handle your property is a must since it will be very difficult to manage a building remotely. Your Realtor may be able to help guide you to a quality property manager. Since the property manager is responsible for maintaining your investment which includes tenant relations you want to go with someone recommended as trustworthy. If your Realtor offers property management services then explore with them the fees they charge and how they manage properties. If you decide to manage your property on your own or decide to purchase through some alternate type financing like lease with option to purchase or land contract it is important to work with a local real estate attorney to make sure things are done according to local laws. Land contracts and lease with option to purchase are legal documents that allow buyers to purchase a property without having to use a traditional loan (commercial or conventional mortgage). Depending on how those documents are written your investment could turn into a big loser if the seller writes everything in their favor leaving you with only the minimum protections required under law. Hire an attorney who works for you and will look out for your best interest when drafting or reviewing these types of documents. Especially in the area of property management an experienced attorney will help you navigate the difficult maze of landlord/tenant laws. Many states and localities have very strict laws when it comes to dealing with tenants, collecting rents and evictions. Run afoul of the law on one of these matters and your investment will suffer as a result. Instead make sure you start your conversation ahead of time with an attorney to get their opinion and input even if that means paying some fees for advice you do not need yet. Most good attorneys have a full load of clients to assist and if you are already an established client they will be able to fit you into their schedule if the need arises. While the returns can be great on an investment property if one does not go in properly prepared those returns can quickly turn negative. By working with a local Realtor, attorney and home inspector to make sure your best interests are protected the investment will be protected for the long term. About the author: The above article “The Essentials Of Selling A Luxury Home” was provided by Luxury Real Estate Specialist Paul Sian. Paul can be reached at paul@CinciNKYRealEstate.com or by phone at 513-560-8002. If you’re thinking of selling or buying your investment or commercial business property I would love to share my marketing knowledge and expertise to help you. Contact me today! Thank you for sharing these great tips.